Today’s leadership is in the position of inheriting problems with origins beyond their immediate professional environment. Brett Kavanaugh’s Supreme Court confirmation has been a flashpoint issue for many Americans, no matter which side they fall on. Significant cultural events like these are not limited to “outside the workplace” discussion. They will find their way to the water cooler, and they won’t stop there. Inflammatory topics such as this can disrupt workplaces in both obvious and subtle ways. However, difficult circumstances like these present organizations with the opportunity to demonstrate greater sensitivity to staff and colleagues that can enhance inclusion in the workplace. Kavanaugh’s confirmation has stirred up strong emotions from sexual assault/harassment survivors — both men and women alike. Whether they consciously intend to or not, victims identify with other victims. Individuals who have been victimized in the past — or have a close relationship with someone who has — regard Kavanaugh’s confirmation as a reminder of feelings of personal injustice and reinforcement that there they may still be vulnerable to harassment and sometimes no accountability for harassers. This deep-seated sense of fear and vulnerability can take a private toll on staff. Organizations must anticipate this silent suffering and take proactive measures to counteract its effects. In these situations, your organization can help employees by clearly re-stating your commitment to a safe workforce. Such efforts have to be visible, unwavering, and genuine. Reinforce your philosophy around sexual harassment in workplace. Reiterate detailed policies regarding accountability. Use this as an opportunity to articulate the value your organization places on all staff members. Leadership must take the time to understand the perspective of affected employees. Fear, vigilance, and woundedness are all antithetical to the feeling of inclusion. These emotions become de facto roadblocks to a sense of security. Without a secure foundation, employees operate at a diminished capacity. Preoccupied employees are well aware that they must perform a tricky balancing act. If they admit they have been less productive due to distraction, they might be seen as not pulling their weight. They fear their complaints might fall on deaf ears or elicit a negative reaction (“No one likes a complainer, right?”). These added pressures operate on top of the initial stressor, compounding the intensity of the distraction. Healthy company culture begins at the top. Examine your own reaction to complaints regarding harassment and leadership’s overall response. Ask yourself some tough questions. Does leadership default to dismissing or minimizing claims? Are employees encouraged to “move past it” without sincere acknowledgement of their experience or perspective? 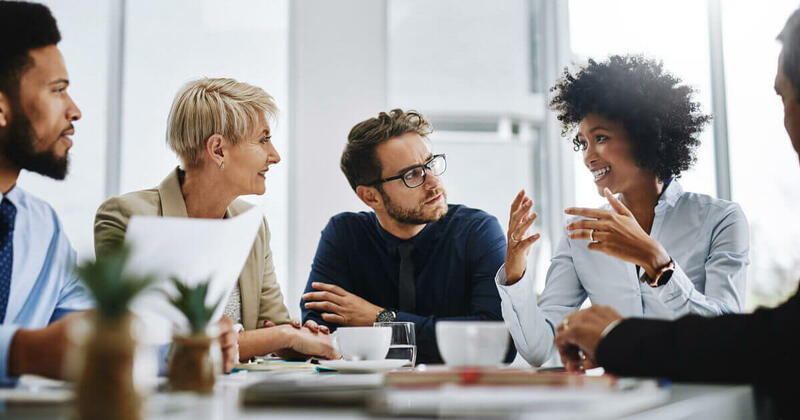 If so, it’s time to examine the leadership culture at your organization and take proactive steps to establish greater empathy and inclusion in the workplace. It’s tempting for an organization to want to sweep discord under the rug to quickly re-balance the workplace. However, this would be a serious mistake. Studies show that during interactions between high-powered groups and vulnerable groups, each has different needs. The high-powered group wants to right the ship and get everything back to running smoothly as quickly as possible; it wants to maintain harmony. However, people who feel vulnerable want their voice to be heard and to be part of the solution; they want respect, and they want change. Therefore, an organization should not simply present a solution and try to move on. Instituting a radical shift then telling employees to “just trust us” can result in negative consequences and can in fact reduce levels of trust. Organizations must take a deliberative approach that demonstrates that their response originates from a place of deeper understanding. When trying to establish more inclusive policies, an independent assessment can help. Outside of the influence of office politics or other agenda, a third-party assessor can reveal underlying problems and help develop effective solutions quickly. An unbiased climate assessment holds up an accurate mirror to the organization. Often through this process individuals finally receive the validation they have been seeking. It is comforting to discover they are not alone in their feelings and perceptions. An outside D&I partner has one goal in mind: to get the facts. Only from a fact-based foundation can an organization enact change without appearing as lip service to employees. Leadership must make peace with the idea that the workplace is embedded in society and is affected by what occurs in that larger context. Employees are never fully insulated from the fallout of important social issues. Therefore, establishing policies to foster inclusion in the workplace should be done as a proactive measure, not a reaction after the fact. If authentic inclusivity is established in advance and nurtured along the way, when disruptive social issues arise, the organization is well prepared to respond in an effective manner, so everyone can move forward with greater confidence.